Apple CarPlay™ and Android Auto™ are easy to use, drivers simply have to plug in their iPhone or Android phone into the USB port of the dashboard and activate it before they start driving. These revamped infotainment systems provide convenient access to common iPhone and Android apps such as Maps, Messages, Music, Phone, and Podcasts, and select third-party apps without the need for hand or eye contact. The interactions with these features such as making a call, replying to text messages and others are done through a voice control that is activated just by pressing a control button on the steering wheel. This is an attractive and very useful feature to have. Accidents can happen in a fraction of a second and this technology does a lot to keep drivers’ eyes on the road and hands on the vehicle, reducing the possibility of collisions from occurring. Do you want to find out more about the 2017 Honda Pilot design upgrades and technology features? Come and see the award-winning 2017 Honda Pilot in Anaheim, CA. 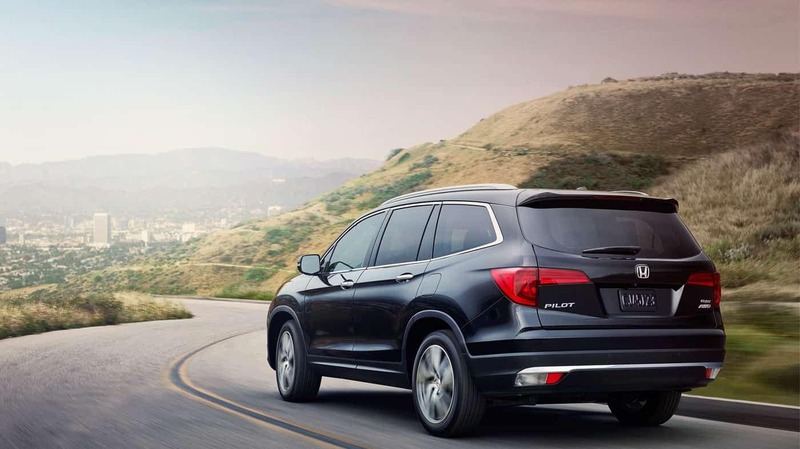 Why not stop on by at Weir Canyon Honda and check out current Pilot models for sale in Southern California! Contact us online or stop by in person if you are in cities including Huntington Beach, CA, Brea, CA or Irvine, CA.